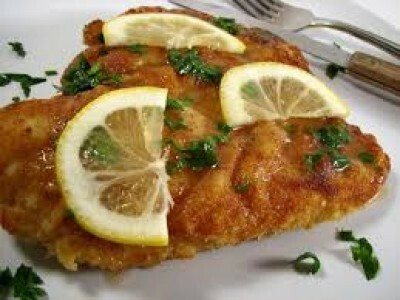 Chicken Piccata is one of traditional Italian recipes that are equally craved all over the world. While almost every Italian restaurant serves this savoury dish, you can also make it at home quite quickly and easily. Thoroughly wash chicken breasts and pat dry with a paper towel. Take a rectangular piece of plastic wrap, place a chicken breast on one half of a plastic wrap, fold the other half on it and pound to half-inch thickness. Sprinkle cayenne, salt and ground black pepper on both sides of pounded chicken breasts and rub with finger tips. Lightly dredge seasoned chicken breasts in all-purpose flour, shaking off any excess flour. Pour two tablespoons of olive oil in a heavy bottomed skillet and heat it over medium-high heat. Once the oil is hot enough, reduce heat to medium and place chicken pieces in it. Cook chicken until nicely browned and cooked through, 4 to 5 minutes on each side. Once done, remove chicken pieces to a plate. In the remaining oil, cook drained capers until warmed through, about half a minute, pressing them lightly with a slotted spoon to release brine. Remove the capers to a plate. Pour half cup of white wine into the skillet and cook over medium high heat for about two minutes, or until reduced by half, scraping any browned bits from the bottom of the skillet with a plastic spatula. Pour ¼ cup lemon juice to the reduced wine mixture. Also stir in water and butter and cook for two minutes, or until you get a thick sauce. Stir the mixture continuously, as you cook. Now reduce heat to low and add finely chopped parsley to the sauce. Return fried chicken breasts to the skillet and cook for a couple of minutes, until heated through. Sprinkle with capers and serve with the sauce poured at the top. 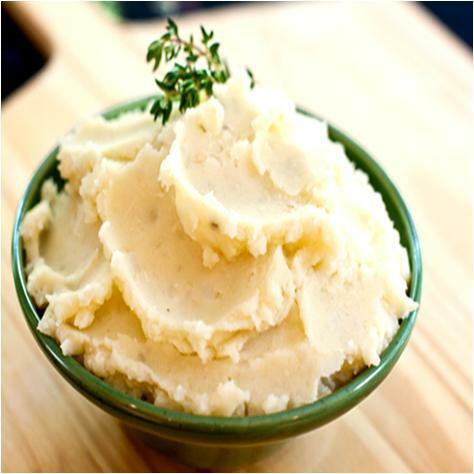 Mashed potatoes, along with chicken piccata, is going to serve as the perfect mid-day meal for you.